My coworker April had a baby girl, Nandi, in late August. When I inquired about a theme, I was told that they weren't planning a theme but liked greens, leaves, and nature. 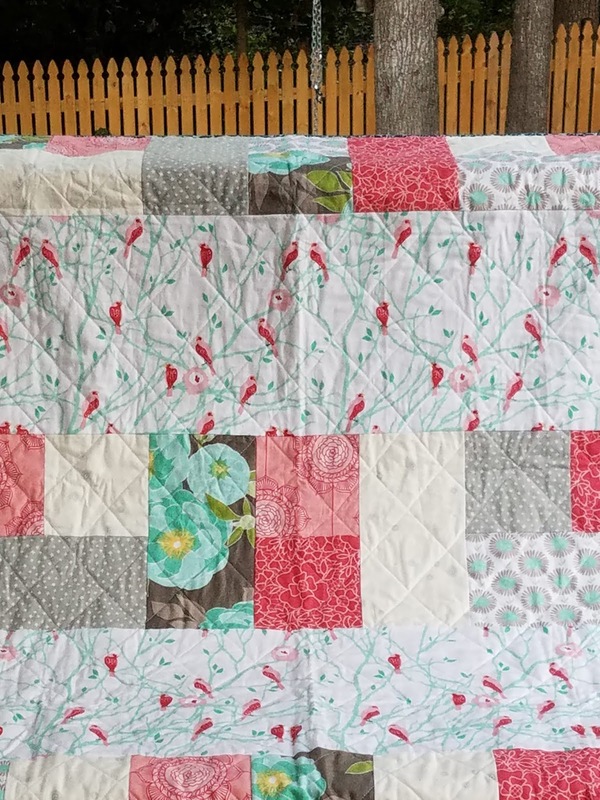 This was about the time I was working on Amy's baby quilt, and I knew I had enough left from that quilt to make a second if I added one more print from my stash. 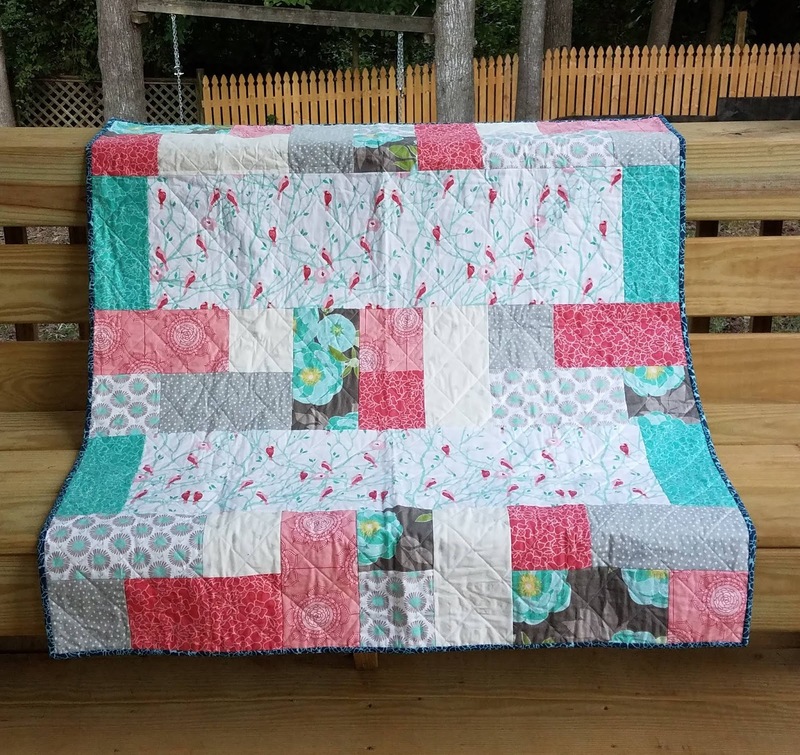 The fabric is The Cottage Garden by Riley Blake and came from a prize I won from Julie of The Crafty Quilter from her monthly "Hello 2016, Good-bye UFO" link-up that month. I used the gray bird print for Amy's baby quilt which left the white bird print for this one. It wasn't quite WOF, so I used one of the other prints to lengthen to match the other rows. 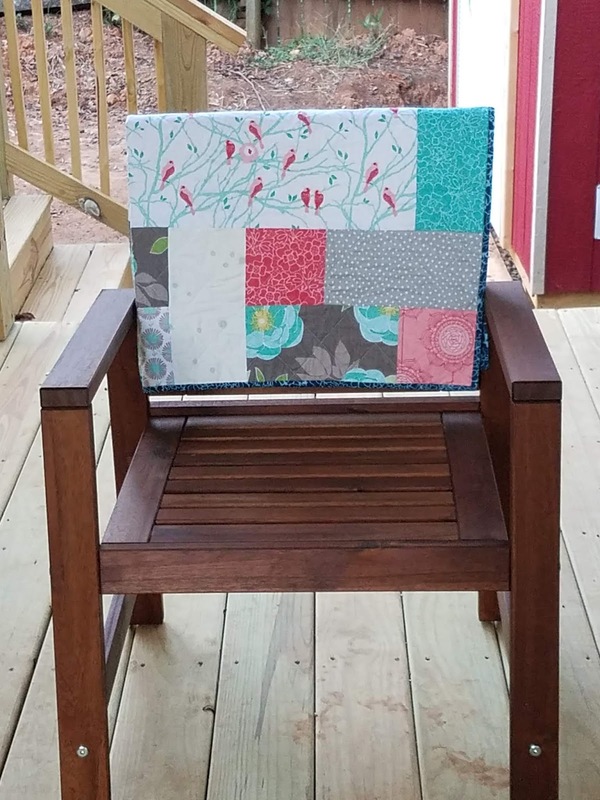 The pattern is a slight adaptation of "Cherish" by Villa Rosa Designs. I used cross-hatch quilting, my go-to design for most things. I just really like how it looks. I had a yard of a green leaf print that I thought would work nicely with the leafy natural preference I was given. The yard worked for the width but I needed a bit more length. I had a sizeable remnant of a giraffe print from making a pillowcase for my niece a while back. It seemed to go nicely with the leaf print, and who doesn't like a family of giraffes walking across a quilt? 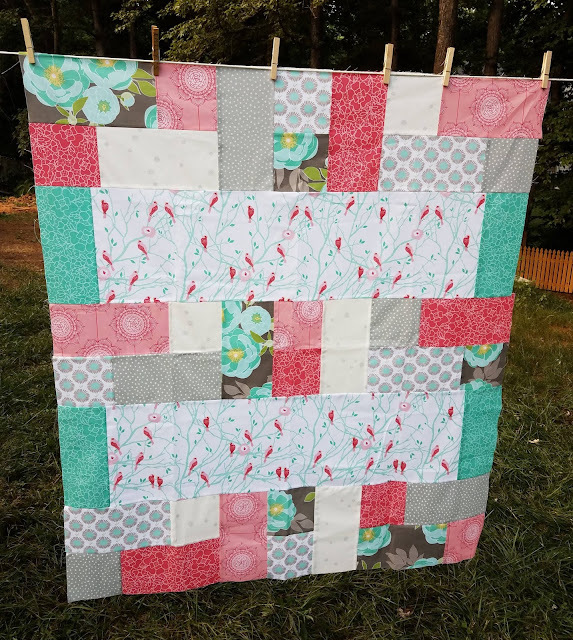 April comes back to work next week, so this is now washed and ready for gifting. This was #4 on my list of Q3 goals for the Finish Along. 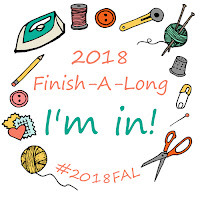 Congratulations on another lovely finish Emily. I’m sure the parents will love it. 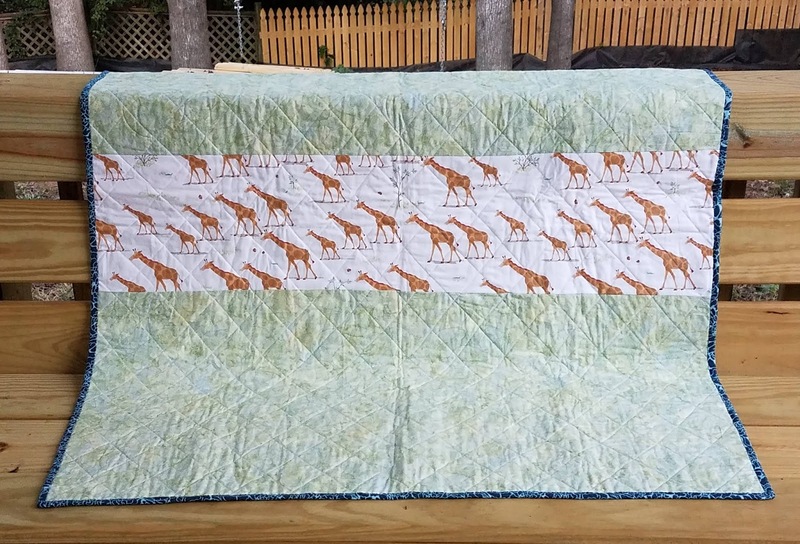 The giraffe fabric is wonderful, it makes the quilt double sided. Love it.